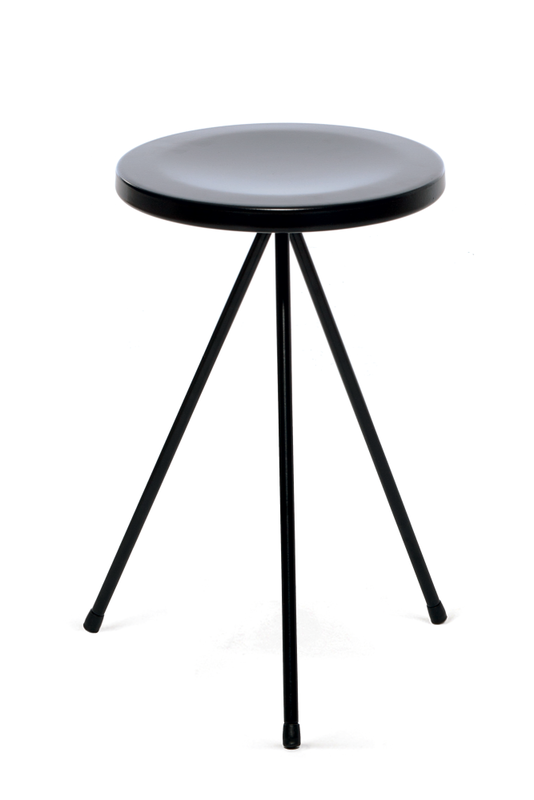 Nuta is especially suitable as a catering stool, furnishing bars and cafeterias. It can also be used in the home. It's very stable in spite of its light shape and can perfectly withstand intensive use. The three heights and different seat finishes (steel, wood and polyurethane) mean this stool collection can be used in a wide range of interior designs. The black painted steel version is particularly suitable for outdoor locations. Designed by Lluís Pau, it has won several design awards such as the ADI-FAD Delta Prize Selection 1990.